If you're like me, and most of your socialising and revelry occurs within the first two weeks after you get paid and the following weeks are mostly spent lounging around in your pyjamas at home wondering if you have enough money in your purse for a bottle of wine from the corner shop, then you know how frankly rubbish it is when you get to your long awaited day off work and realise you have no money left to actually do anything! I have become something on a expert on doing fun things for little/no money thanks to this vicious cycle and so I thought I'd compile a list of Things To Do When You're Flat Broke. Some of these things need a tiny bit of money/pre planning and some need nowt. 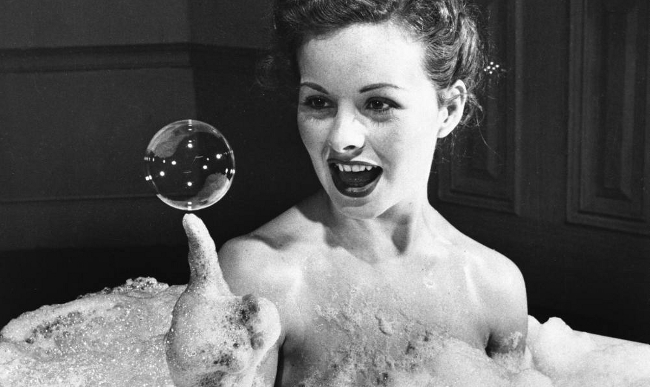 There isn't a bad mood that cannot be cured by a gloriously long bubble bath. But you have to do these things right. You need lots of bubbles so if it's the end of the month and you don't have much money left, or much in the way of bubbles, then scour the end bits of all those bottles you never quite got around to finishing and mix them together. The bath needs to be the right temperature too so keep a close eye on it to make sure it doesn't cross the fine line between lava hot and miserably tepid. You need some nice relaxing music too, so fire up Spotify and choose your favourite classical album. Movie scores are great as well, as are some of the Spotify curated playlists. I recommend Camille Saint-Saens' The Carnival of the Animals, The Harry Potter Soundtracks (for a very magical bath), and this 'Coffee Table Jazz' playlist. You can also add in other options like candles, a good book, and a glass of wine for optimum destressing. For this one you will need one cup of sugar & one cup of water. That's basically all syrup is. You can fancy it up by adding vanilla, lavender, cinnamon, cardamom pods, rosemary. Basically you can experiment with whatever you have in your cupboard. It's one part syrup to one part water, in a saucepan, heated and stirred until the sugar dissolves/the ingredients infuse flavour into it. 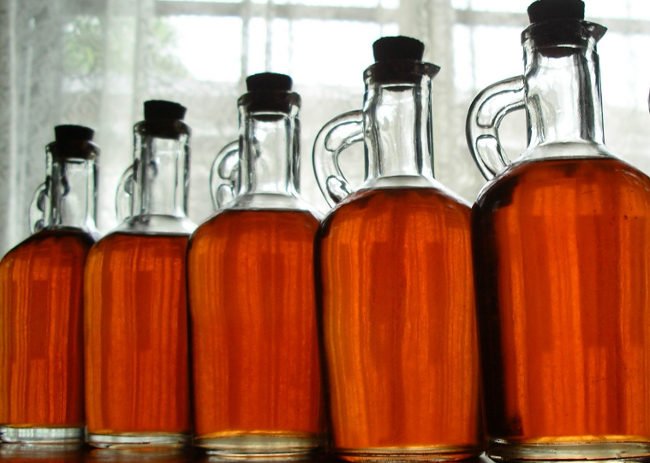 You can use the syrup in coffee both hot & iced, but it's great in all sorts of things like on top of ice cream or pancakes, or in cocktails. Once it's cooled your can put it in a glass bottle or jar in the fridge and it keeps for up to one month. It also kinda feels like you're a domestic goddess but really you're just dissolving sugar in water. If anyone ever tries to tell you you are too old to make a blanket fort please delete that person from your life because they are incorrect. 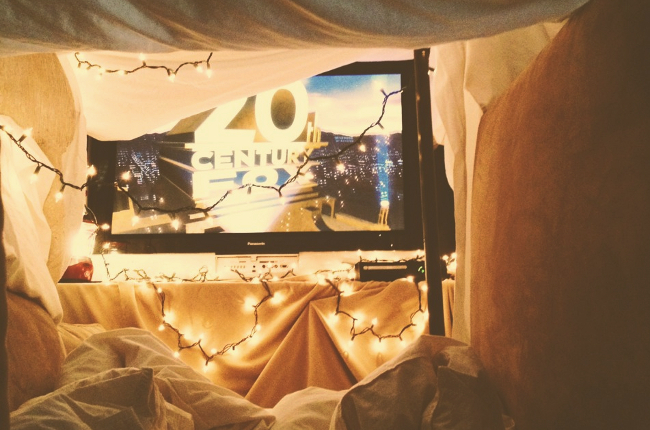 Blanket forts are a magical dreamland that will remove you from all the bad in the world where you can get all cosy and watch movies & drink hot chocolate. You can invite over a buddy or be on your own or share it with your cat. For added cosiness add fairy lights and a hot water bottle. Once at university I made a scarf/blanket fort in my bedroom with one of my friends and I didn't take it down for like 5 days. It took over my entire bedroom. It was amazing. 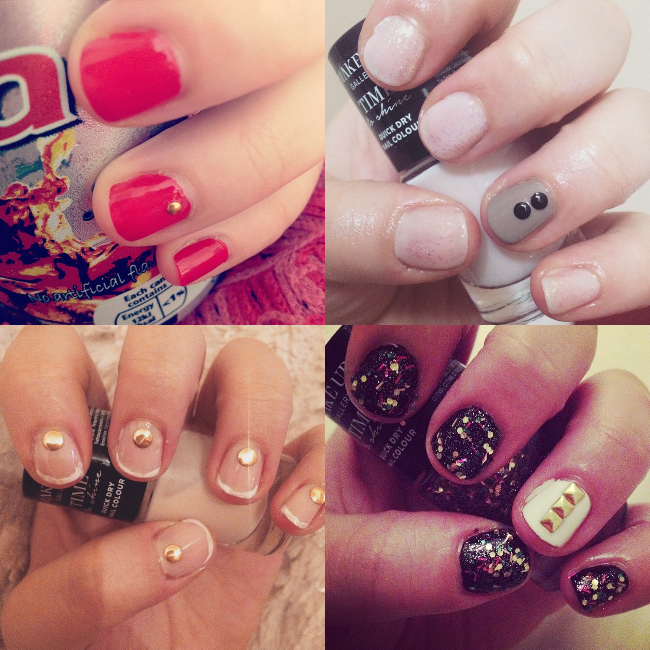 If you like nail art but you can't afford to go to a salon you can just do it yourself at home! You don't need a bunch of fancy equipment either. The more you practice the better you'll get so you could start off just painting a different colour on each nail and work up to polka dots & stripes- plus it doesn't have to be perfect! I've posted here about how to make a dotting tool from an old cork and a pin but if you do have a spare pound or two, Poundland sell lots of nail art supplies that are great! I've gotten brushes, striping tape and gem/stud wheels from there before! They have some lovely glittery topcoats too. Once you have a mini collection built up from a bit here and there every month you can whip out your tools and have sparkly, dotty, colourful nails in no time. Make bread & soup from scratch. 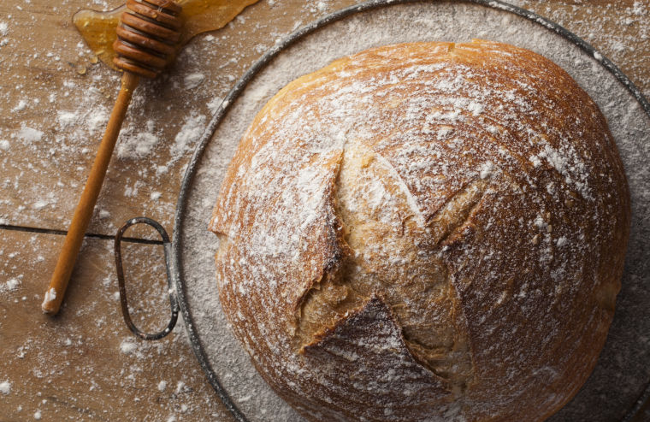 Do you know how easy and cheap it is to make your own bread? All you need is strong bread flour, salt, lukewarm water & a sachet of fast action yeast. That's it. They're the kind of things you can just have lying around in your cupboard for ages and take out for a rainy day. The bread flour & yeast sound fancy but you can basically get them both in most supermarkets for less than £1 each. And soup is basically just stock and a bunch of vegetables chucked in a pot and simmered together until the vegetables are cooked so you can blend it all together. Bread making is an ideal 'rainy day with no money' activity because it's relaxing, it makes your house smell cosy and it takes a few hours to do it. I've covered a basic soup recipe before, in this post. My favourite bread recipe is from Great British Bake Off: How To Bake. I am going to post it here for you now because I can't find it online & it's basically the only bread recipe I've found that doesn't put butter, oil or sugar in the bread, which are totally not necessary. 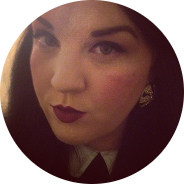 I've placed it after a cut because it's kind of long! Happy Cheap Baking!